Unfortunately, these windows are marred by baseless speculation, which often reaches farcical levels. For example, in an experiment to get more hits for his sports blog, a high-school friend created a rumor out of thin air. He wrote that his local team, North London’s Arsenal FC, had completed a deal for Daniele De Rossi, the midfield general of AS Roma. He took screenshots of some doctored photos and changed a few things on Wikipedia. The article had rumor sites buzzing for days. This culminated in a series of articles in the respectable Daily Telegraph, in which De Rossi and his agent expressed their bemusement at such a ridiculous suggestion. 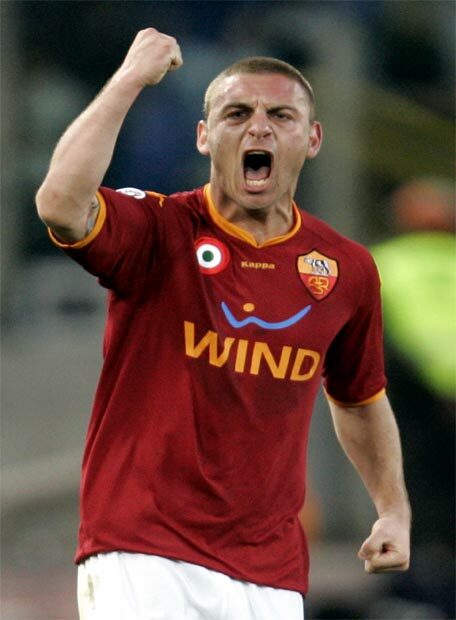 Ridiculous because, as anybody with any knowledge of De Rossi and AS Roma knows, he will never leave. This is something that was reiterated by the famous ‘Curva Sud’ faithful on my numerous trips to the Stadio Olimpico during my Semester in Rome. They don’t call him “Capitan Futuro” (an especially significant nickname for AS Roma) for nothing. Moral standards set aside; this was a pretty amazing feat. However, my friend’s little experiment exemplifies why transfer windows have become so boring (and irritating) for me and many seasoned supporters. The constant linking of players and clubs, the ‘will he, won’t he sagas’ and the branding of previously unheard of teenagers as the ‘new Ronaldinho’ have become so routine that they are best ignored. Newspapers and websites rush to publish the most exciting stories in an effort to generate more revenue, but they often lose their journalistic integrity in the process (often via plagiarism). As the sport takes hold in America, I urge all followers (both new and old) to ignore this drivel, however tempting it may be to entertain these fantasies. I like to keep track of stories that seem credible enough in the back of my mind and wait until something official happens before giving them my full attention. I have learned this the hard way many, many times and it is this attitude that has helped me through the Brett Favre saga that so many Americans struggled with these past summers. Of course every fan is within his rights to predict where a player goes and for how much, but please remember: This is not FIFA ’11 or Championship Manager. This entry was posted on Saturday, January 1st, 2011 at 11:14 am and is filed under Footy. You can follow any responses to this entry through the RSS 2.0 feed. You can leave a response, or trackback from your own site.